The reign of skin care masks has only begun. I like to think of clear skin as one of the ultimate goals for everyone. When you ask someone (especially a millennial) what they want to achieve in life, besides their career goals or being rich, clear skin is almost always present on that list. Knowing your skin type and key problem is one thing, but trying to find affordable products from the best brands can be a nightmare of a hunt. Feeling better about your skin while saving money is something that we can all use. Proper and effective skin care will definitely cost you, maybe even an arm and a leg. Fortunately for us skin care addicts, there has been an uproar for a certain type of product that hardly cost you anything at all. I like the refer to this as the Beatlemania of skin care. The reign of skin care masks has only begun. There’s just something so invigorating about settling down after a long day and putting on that mask. Whether it’s a peel-off, sheet, clay or exfoliating mask, doing a skin care mask at least once a week is not only relaxing but so beneficial to your skin. Skin care masks has caught on fast to the masses of beauty and skin care addicts and has become an addiction and phenomenon. All while being so damn affordable. It’s honestly a blessing that’s been sent to us from the heavens. Like promised, and the reason you clicked this article here are the absolute best and affordable skin care masks UNDER $10! If you’re a beginner in doing masks, then welcome to the world of doing peel-off masks and relaxing on weekend nights. Disclaimer: Mask prices are estimated depending on the stores they are sold at. The Yes To brand has to be one of the most creative and exciting skin care brands that I have ever spent my money on. They have a variety of collections (ex. Yes To Tomatoes, Yes To Cucumbers, Yes To Coconuts, etc.) based on fruits, vegetables, and other natural ingredients that are beneficial to your skin. Feeling Beautiful is another fun mask collection you should most definitely take notice of. Created by Freeman Beauty, this collection is nature-inspired with ingredients that will give your skin that glow that it was destined to have. 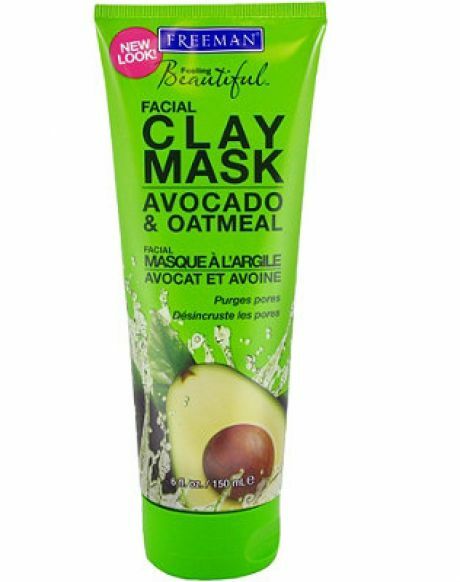 I highly recommend starting off with the Avocado & Oatmeal clay mask for a silky complexion! From Red Wine to Seaweed, Tony Moly most definitely provides a unique yet useful line of sheet masks using ingredients that you would have never thought would have any benefits to the skin. The most outstanding mask from this collection has to go to the Makgeolli mask. For those who aren’t aware, Makgeolli is actually a Korean alcoholic beverage, but is said to have superior effects of exfoliating, correcting dark spots for an even skin tone, and anti-aging. 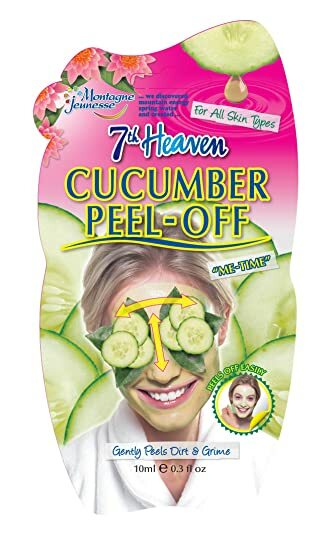 7th Heaven provides of a concoction of enriching ingredients and a collection of some of those most uncommon types of masks I’ve ever laid eyes on. Ever heard of a self-heat mask that will instantly open up your pores? Yup, they’ve got that. That also have fabric masks that are infused with serums and clay. Pretty cool! Burt’s Bees has always been a natural brand they would could rely on making out skin and lips so hydrating and healthy. Turns out they have affordable masks with so many benefits as well. Jackpot! I suggest pairing this mask up with some of their lip balms. Neutrogena is one of the #1 skin care brands on the market. We’ve all tried their cleansers & such… but looks like they have joined in on the sheet mask game too. Shea Moisture is a brand full of wonders. Judging from the praise that their African black soap products get, you can be sure that this affordable mud mask for blemish prone skin will change your life. Unique and convenient packaging, amazing ingredients that contain the benefits to improve your skin, and once again… affordable! Nugg’s face masks are sure to wow you. I absolutely love the Miss Spa Bee Venom mask! It is hydrating and I have noticed overall brightening effect, highly recommend! Previous Entry Essences, Serums and Ampoules: What’s the Difference?